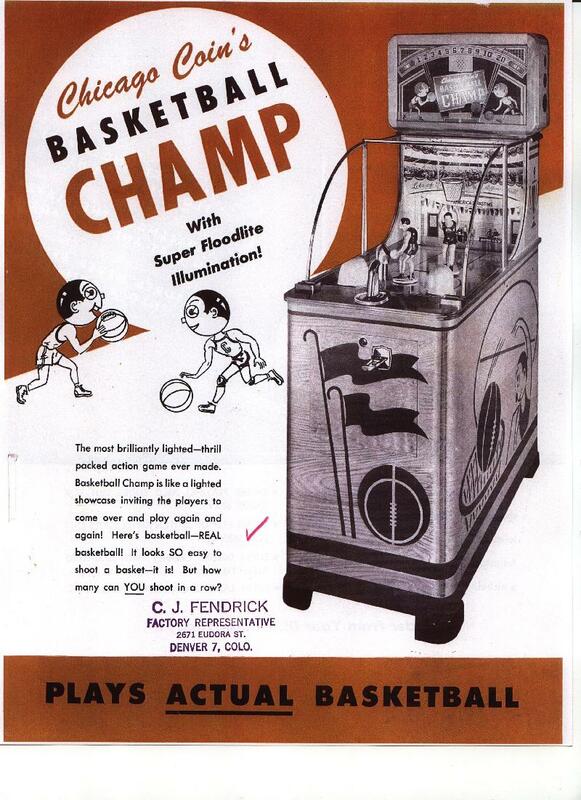 Description: Basketball Champ, Chicago Coin, 1947. 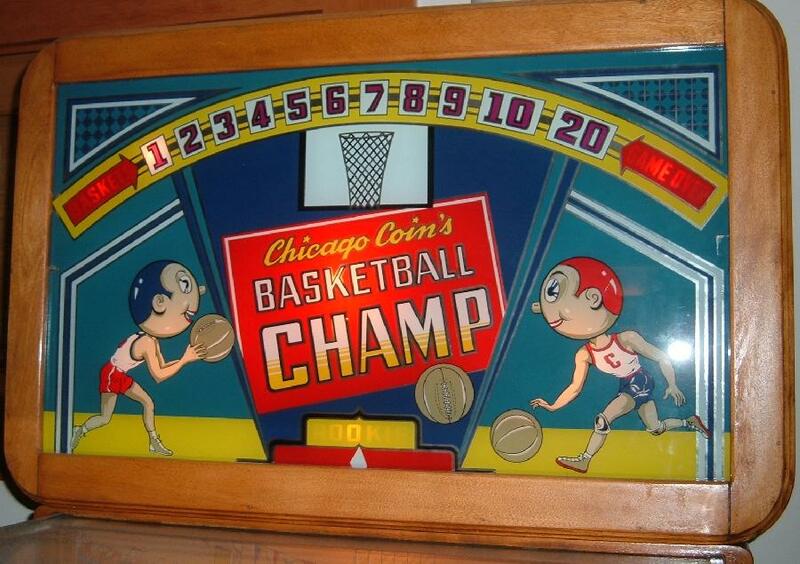 This game was later reissued by Chicago Coin in 1961 with some updates as Pro Basketball. 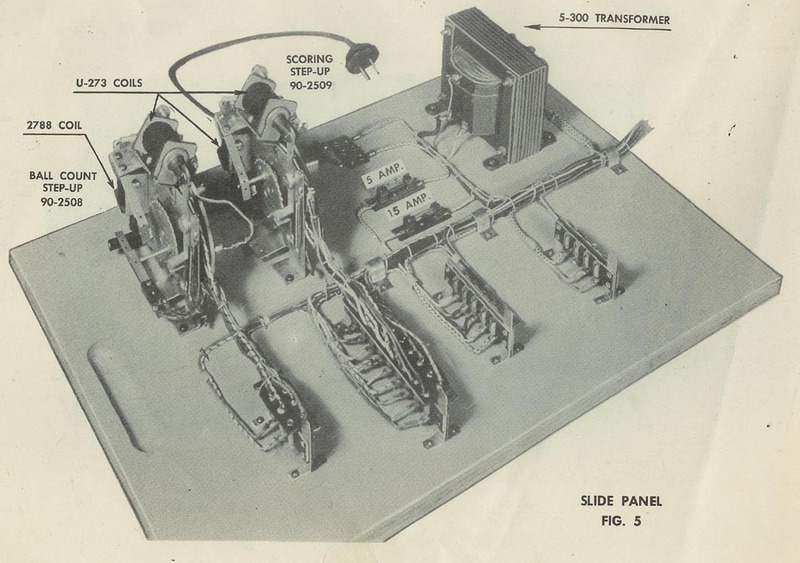 The player controls the offensive manikin, who automatically turns to get a ball from the feeding tube, then automatically turns into the shooting position. 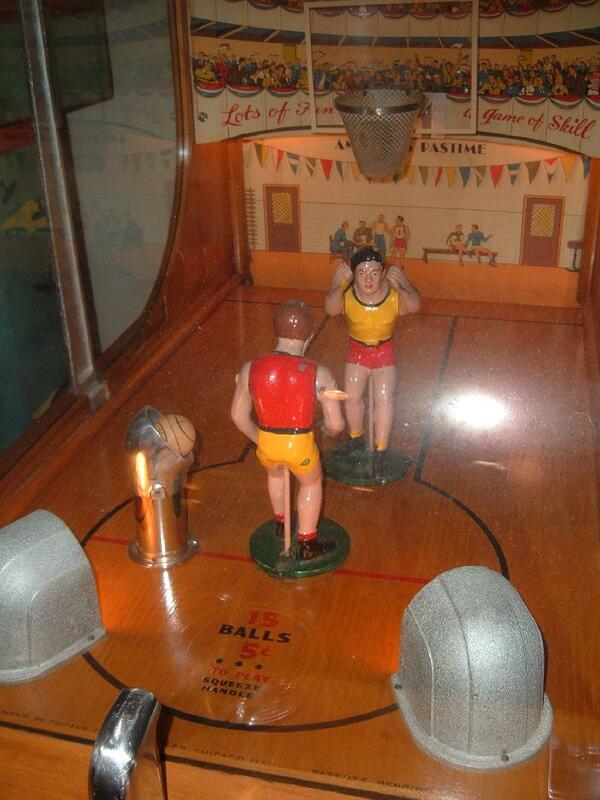 The player controls the offensive manikin's shot, but the player does not turn or move the manikin (unlike Genco's 1954 2 Player Basketball). 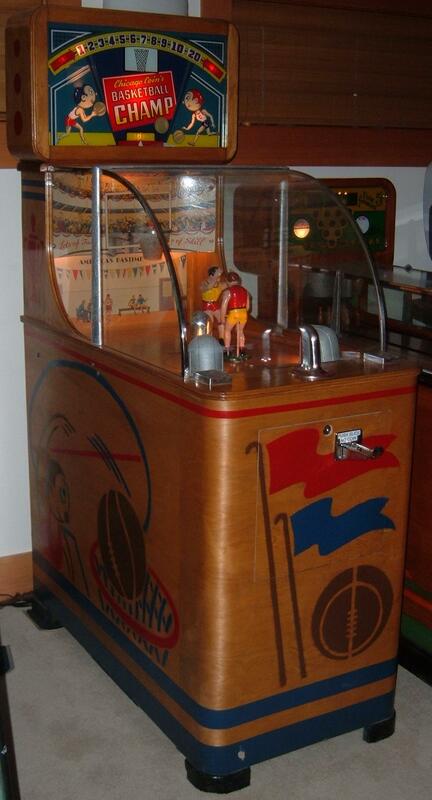 The defensive manikin does move left and right (using a motor) and raises his arms to block the offensive shot. 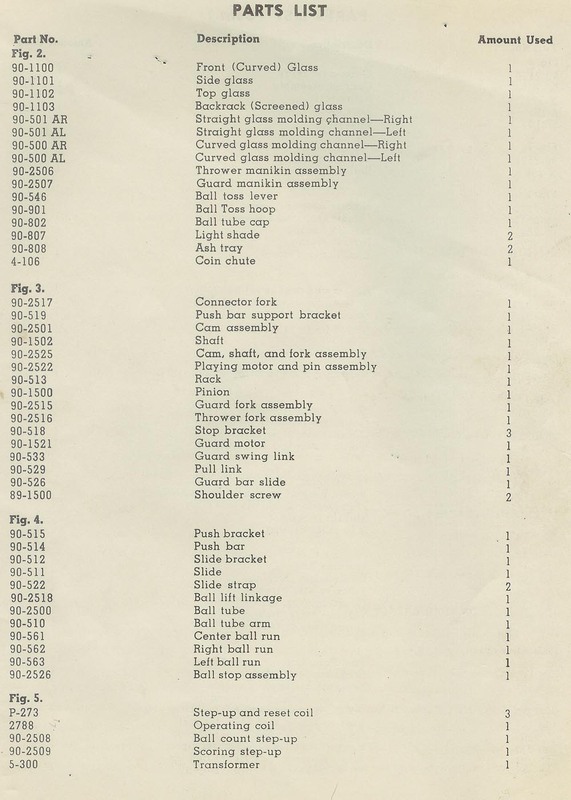 After the offensive manikin shots, he automatically turns towards the ball feeding tube to get another ball (total of 15 shots). 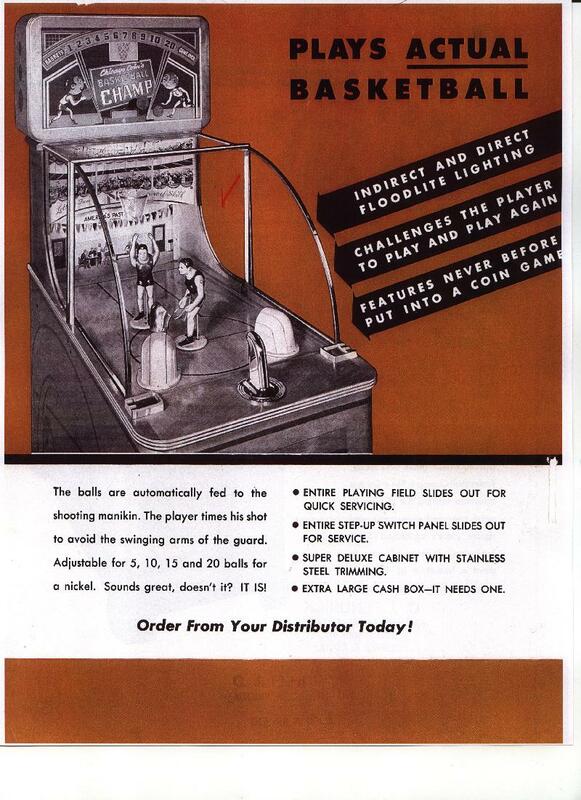 The size of the balls really must be 1.5" or then will not feed correctly to the mannequin player. 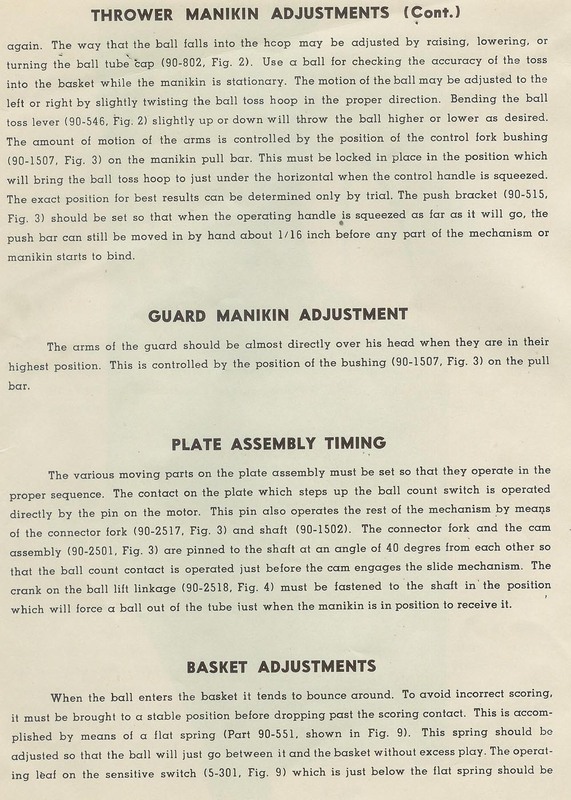 Essentally these are the same balls as used in Genco's 2 Player Basketball and in the later Pro Basketball. 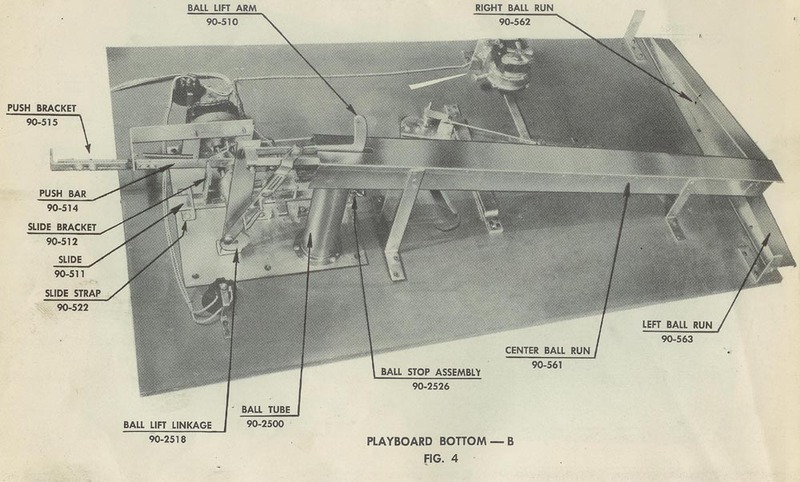 The game will work with eight balls minimum, but really nine to twelve should be installed. 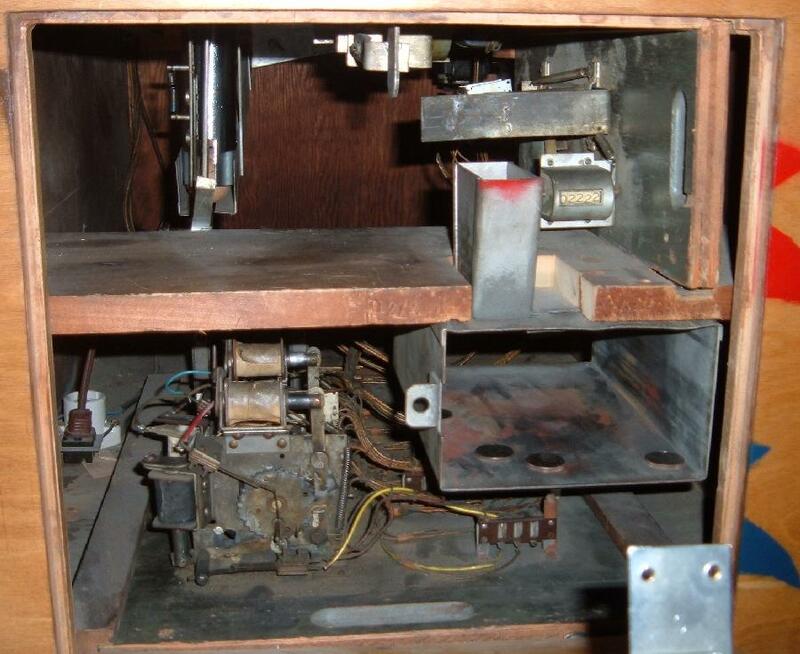 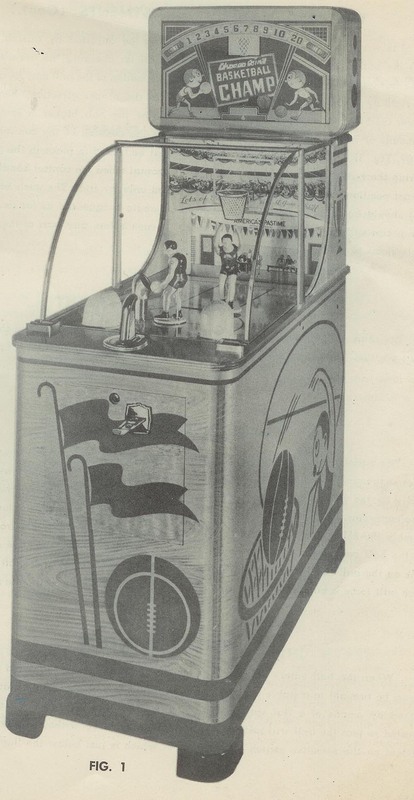 During WW2 the arcade game manufacturers shut down production to build war effort equipment, but that didn't stop the design department. 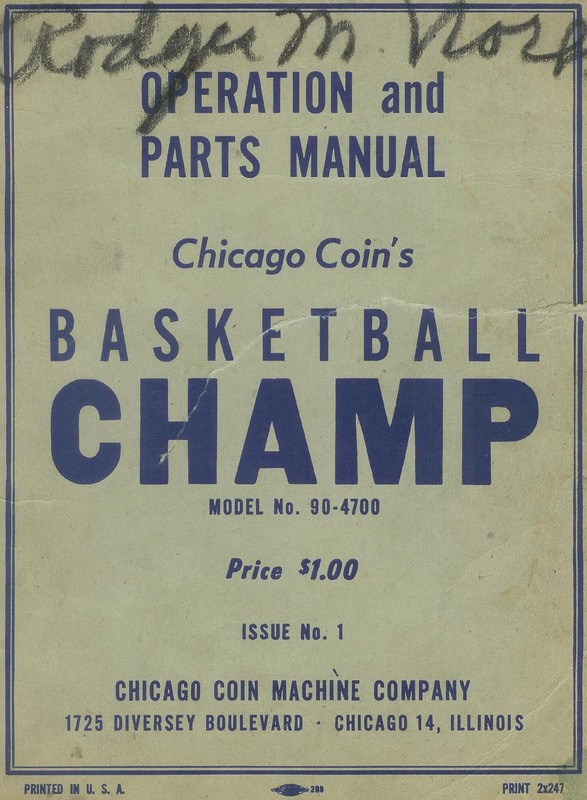 Basketball was growing in popularity, so by the time the war ended, Chicago Coin was ready to release their Basketball Champ. 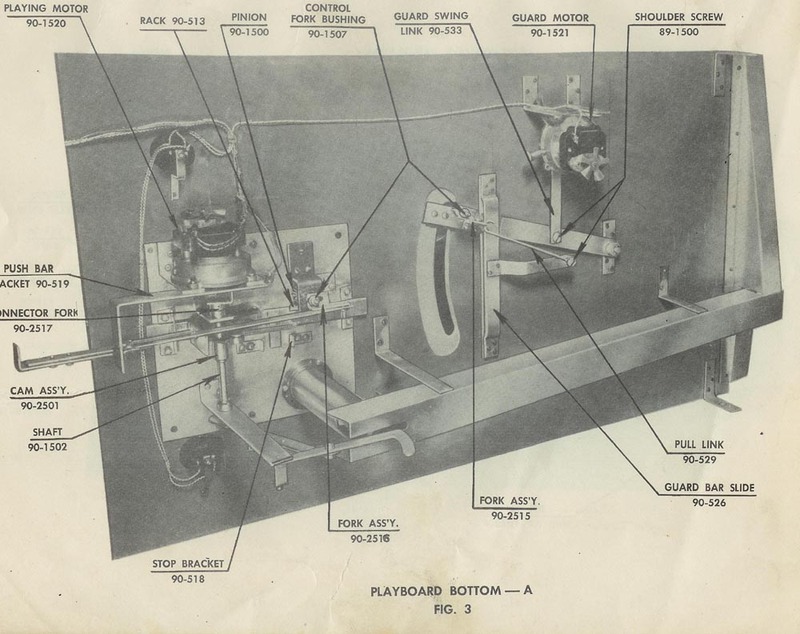 Featured round headed men on the cabinet graphics that supposedly came from surplus plywood from Howard Hughes' Spruce Goose airplane project, they got a jump on the competition who was still looking for scarce raw materials. 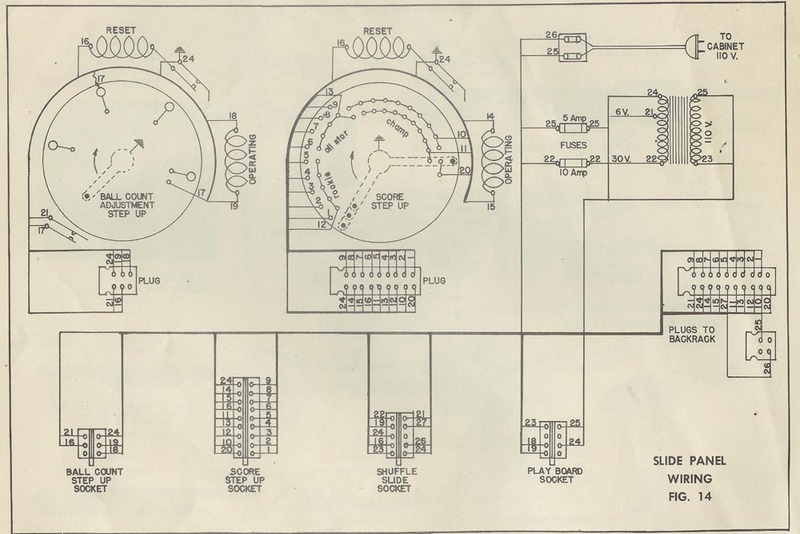 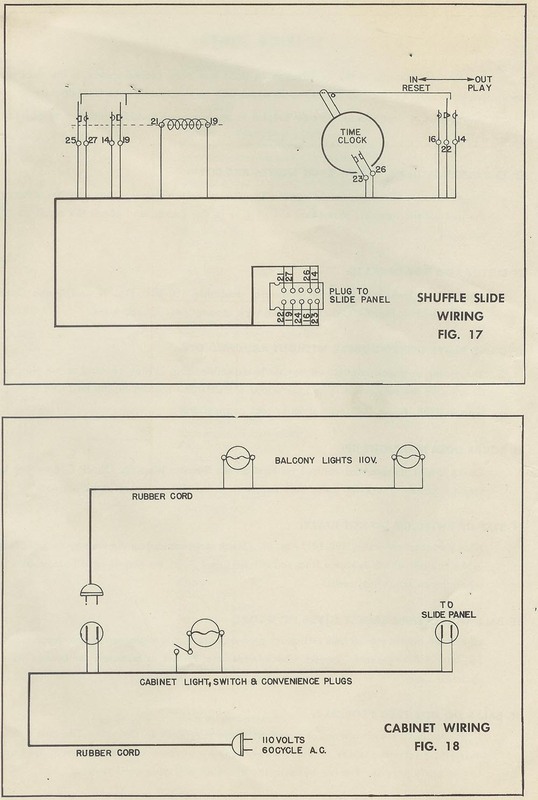 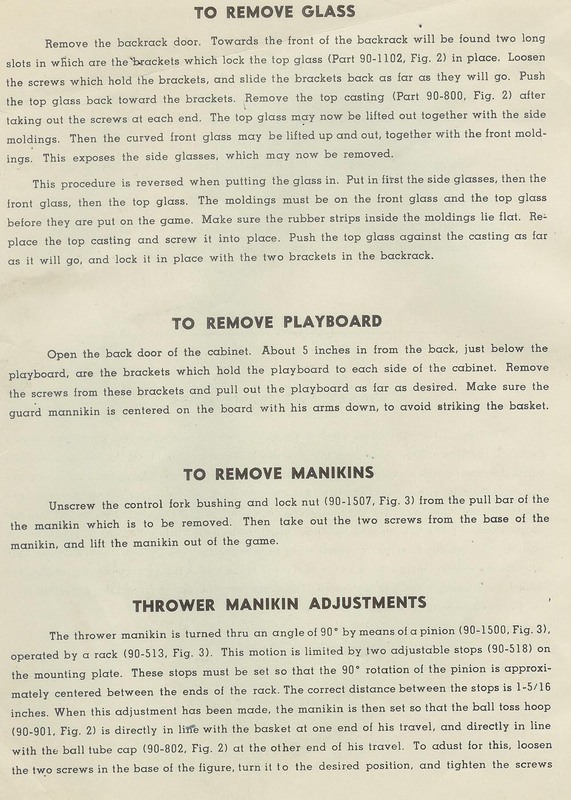 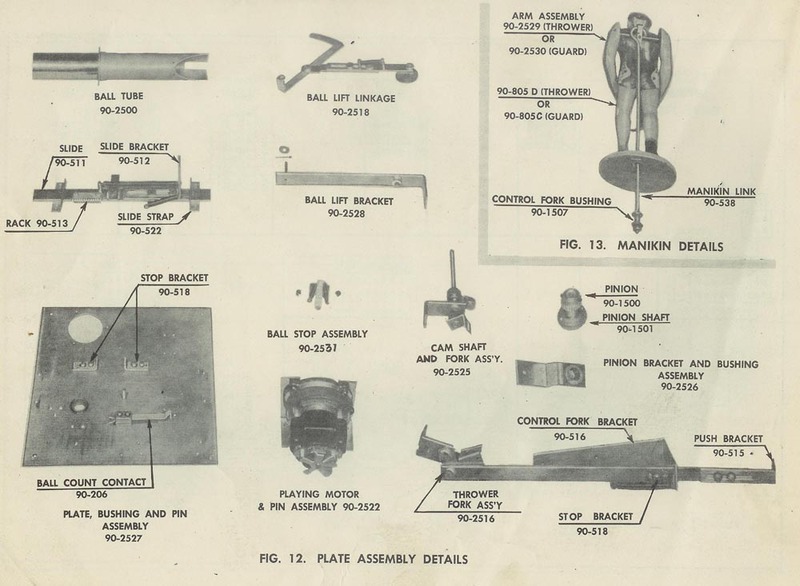 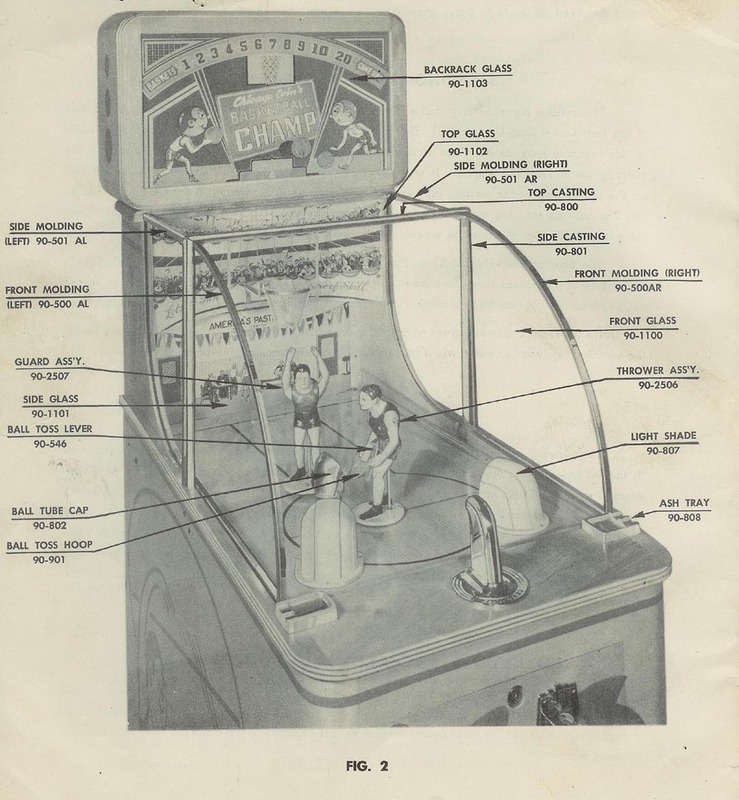 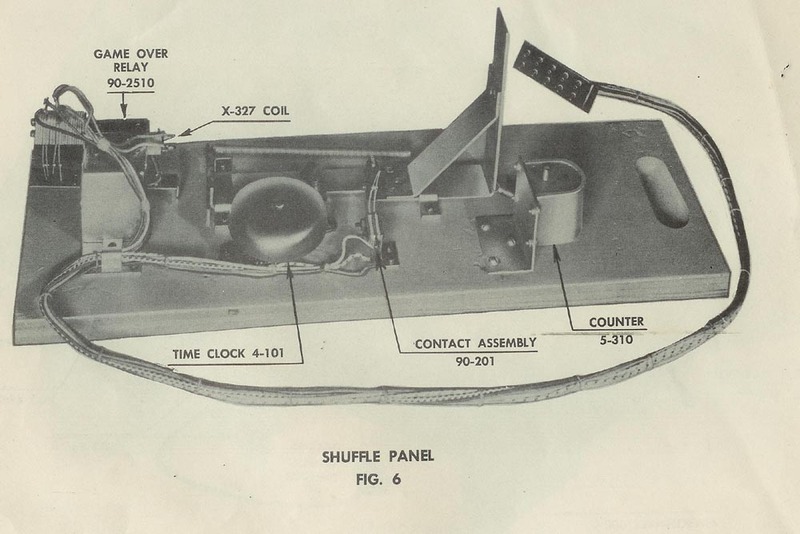 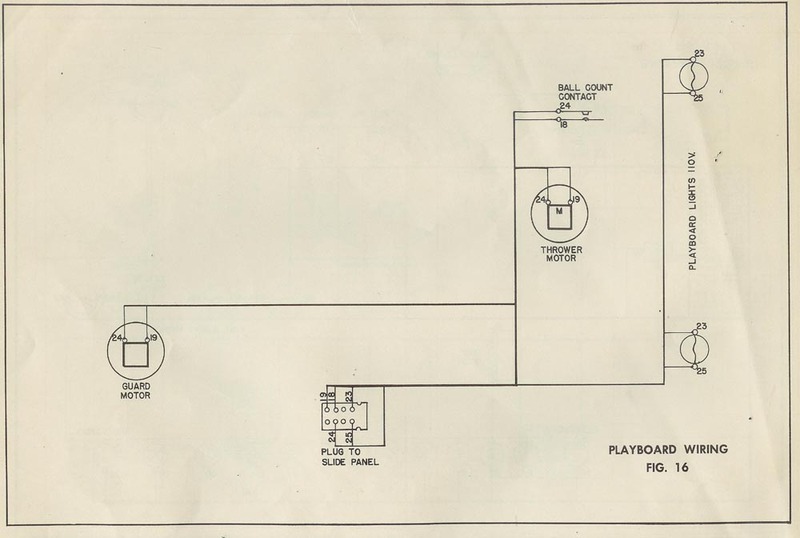 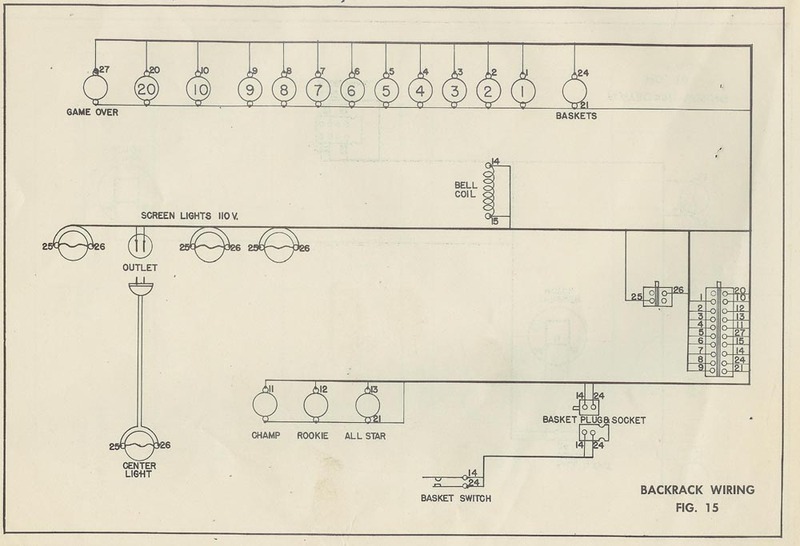 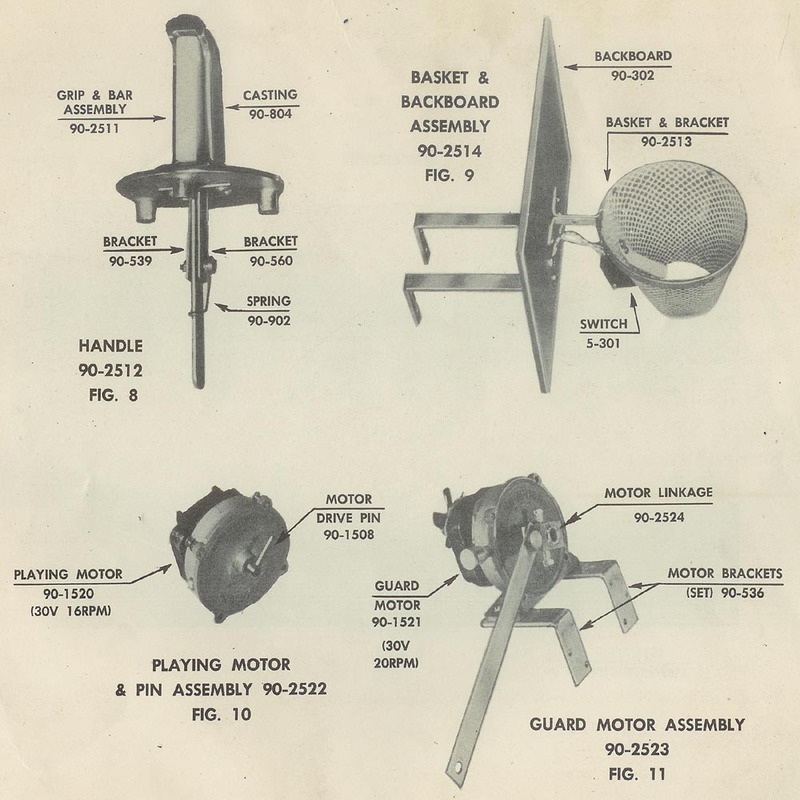 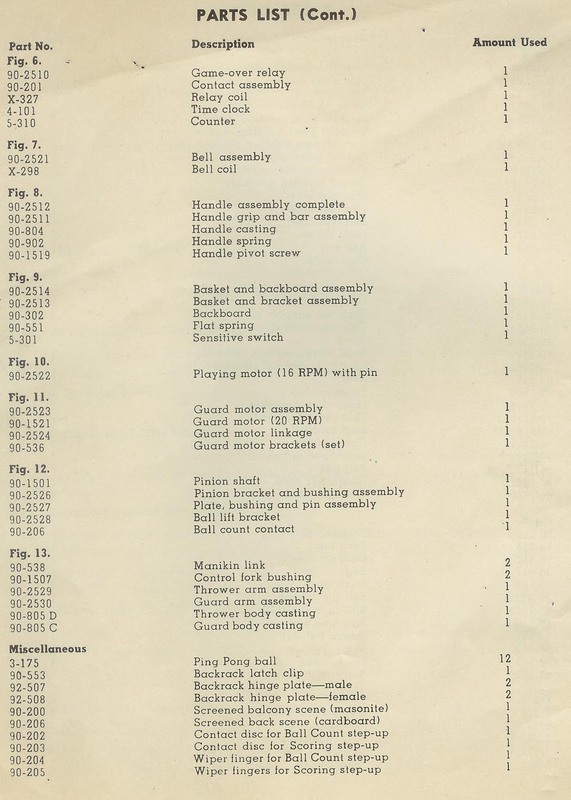 1947 Chicago Coin Basketball champ manual and schematics can be found here (6meg). 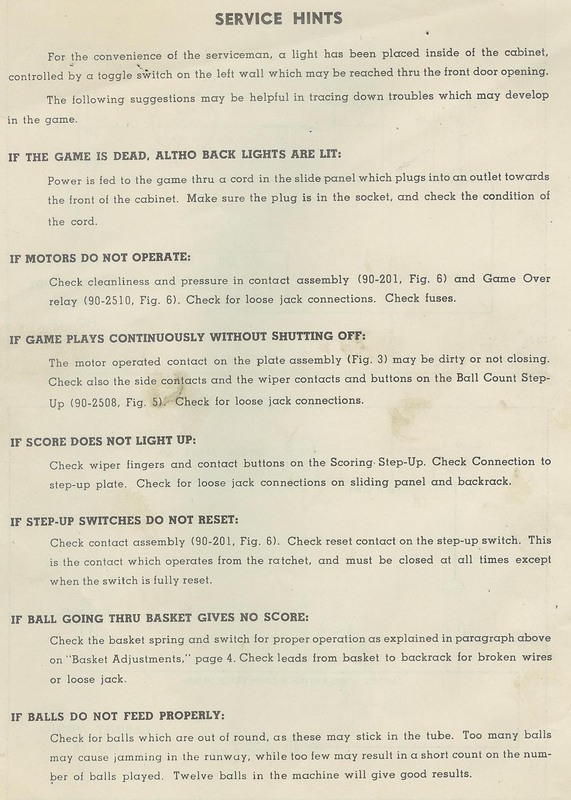 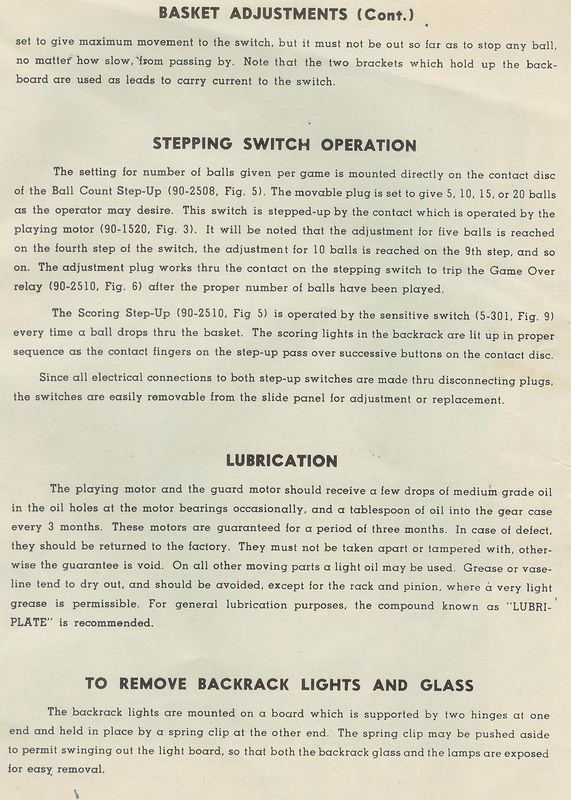 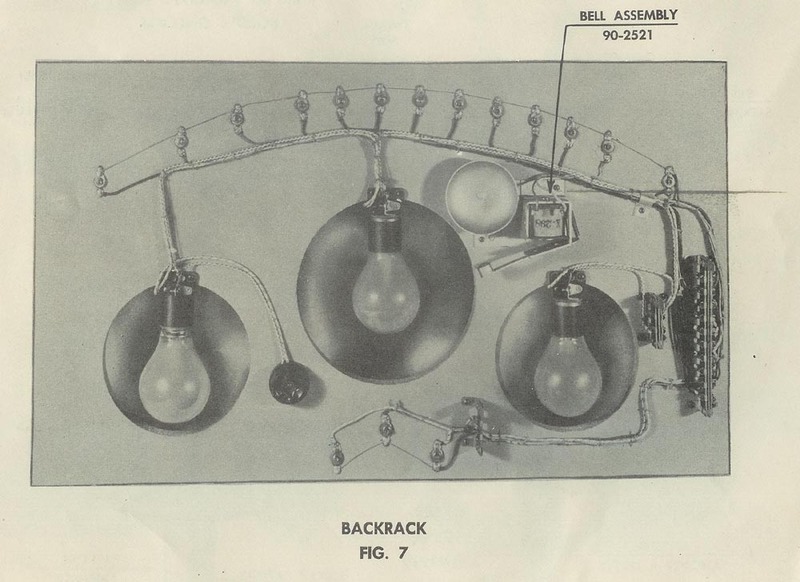 Patent information on the 1947 Basketball Champ can be found here (650k).